My last post caught some flak from working moms who thought I was coming down on them. I changed my post to reflect the fact that I can only speak to stay-at-home moms. I don’t know anything about being a mom who also has to work outside the home. 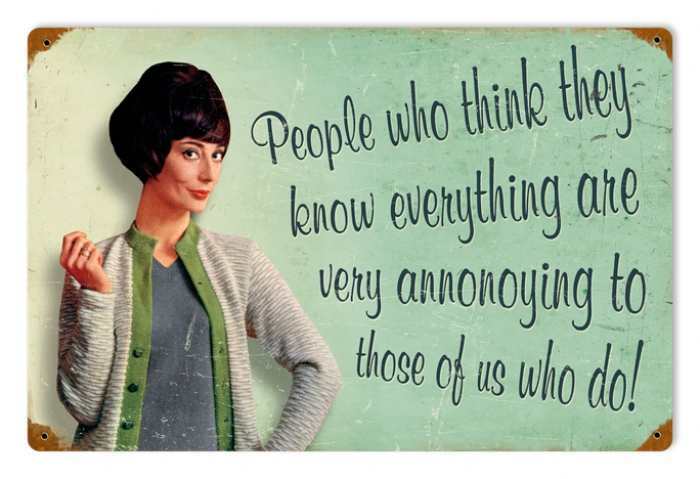 In the midst of the flak, a friend told me that the tone of my blog makes me sound like a know-it-all. Ouch! I told her, and I want to tell anyone else who cares, that I hate giving an apologetic opinion. I don’t want to qualify every post with a “that’s just my opinion” ending. I hope that it is understood that every post is just my opinion. I know, but trust me. 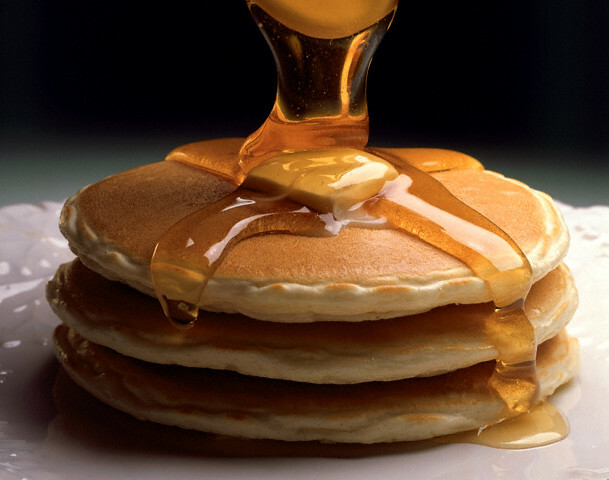 If you eat pancakes for breakfast, and only pancakes, you will feel like crap the rest of the morning. Maybe the whole day. Syrup only makes this more true. If you drink orange juice with this “meal”, you might as well call in sick. The risk outweighs to benefits when it comes to airshows, as in the shows with planes doing tricks. Unless it is the Blue Angels or the Thunderbirds, I”m talking military, precision professionals, stay home. 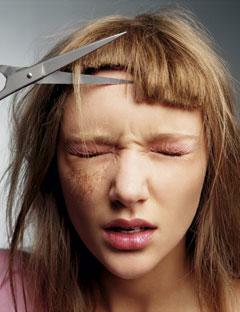 Unless you are a hairdresser, your hair will not come out right if you cut it yourself. Even a little bit. If you have the skills, you probably don’t have the very expensive professional scissors needed to do the magic they do. We are dependent on them. Sad but true. You shouldn’t put away your winter clothes until Memorial Day weekend. It will get cold again, just to mess with you. Revlon Colorstay lipstick in Everlasting Rum color is the best lipstick. That was not a paid endorsement, as much as I wish it was. It is just true. If you put it on in the morning, it will still be there in the evening. I leave out other things, like God and Jesus and love and life and parenting because what is fact and what is opinion gets really fuzzy from person to person. Of course I would defend the facts about God and Jesus, regardless of someone’s opinion.And I want to believe that what works for me in my home is factual. But when it comes down to how I live and the choices I make, I am a fan of my life and how it has turned out so far. I want to spread the excitement about what has turned out good and warn others away from what has not. These are the things I know. They are silly and few. I wanted to let everyone know that writing about it doesn’t mean I think I have all the answers. I just have a few. They were given to me, so I feel I should pass them on to you. Thanks for humoring me as I pay all that forward. This entry was posted in deep mom thoughts and tagged airshows, defending your opinions, having an opinion, home haircuts, knowing it all, pancakes, summer clothes. by lookmom. Bookmark the permalink. Anyone who blogs is putting herself out there. We are open to the good and bad and I learned a lot from someone being honest with me about it. I’m sure it won’t be the last time! Thank you. It sounds like you should be the one writing advice! You are a great mom, and to lots of children that are not even yours. Hang in there! Remember, your Mom thinks (knows) you are brilliant! Your last post was great! Keep going. Everybody has an opinion, and it’s good to hear it, consider it, but pray about what God wants you to do.